[prMac.com] Albuquerque, NM - Big Stone Phone today has shipped a brand new application for the iPhone and iPod Touch named "Soundbite". Soundbite v1.0 lets you record your own snippets of sound to play back at just the right moments. 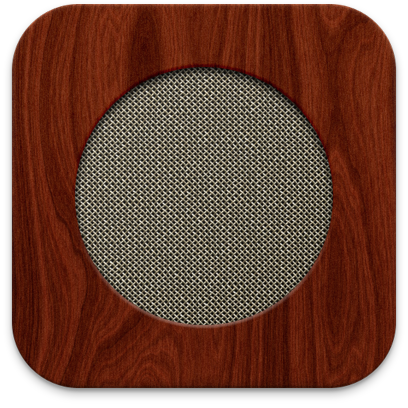 Unlike other soundboard apps, Soundbite enables users to create their own collection of custom sounds to entertain (or provoke) friends at a moment's notice. With just one simple tap, Soundbite lets you record those little gems of sounds that will entertain friends, punctuate pauses, or spice up awkward moments. Stone's CEO and Chief Computer Scientist, Andrew Stone remarked, "Whether you want to capture your boss in an angry fit of pique for later humiliation, or just for amusing your colleagues, Soundbite is the perfect instant record and play sound machine for the iPhone and iPod touch." 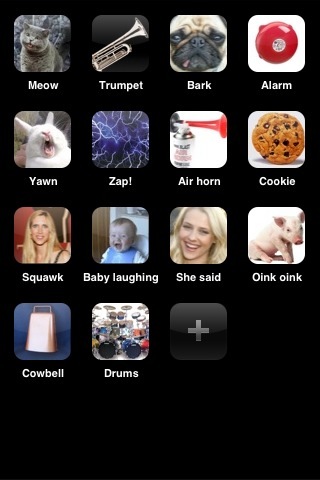 Users can also label their sounds with names and images taken directly from the iPhone's camera or from their pre-existing photo library. Additionally, Soundbite allows you to loop sounds for longer playback. Moreover, you can play as many snippets at the same time as you want for the mashup effect. There is no limit to how many sound bites you can create, and it's easy to delete the unwanted ones. Soundbite was created by a team of developers who have created applications such as Twittelator Pro, iGraffiti, TalkingPics, Pulsar, Gesture and Kineo. You can find Soundbite on the App Store for just $1.99 (USD). Stone Design is a New Mexico based software corporation founded in 1984 by Andrew Stone which has shipped over 20 titles for Mac OS X and its parent operating system, the NeXT, in the last 20 years. Major applications include Create, a page layout and web authoring app, iMaginator for image processing and Videator for video effects and VJ'ing. In the past year, in conjunction with BigStonePhone, has added 6 iPhone applications to the collection: TalkingPics for field photography and audio recording, iGraffiti which lets you paint on photos and share them, Gesture which lets you turn photos into digital paintings and share them, Twittelator Pro, the most feature laced twitter client for the iPhone/Touch, Pulsar the free pyschedelic strobe light and now SoundBite. BigStonePhone is a collaboration between Stone, Jeff BIggus of Hyperjeff and artist and UI designer Ollie Wagner. Additionally, Geoff Pado of CocoaTouch collaborated on SoundBite.